Hello, I’m Manda, and I am your local therapist of Bark Busters Home Dog Training Keighley. 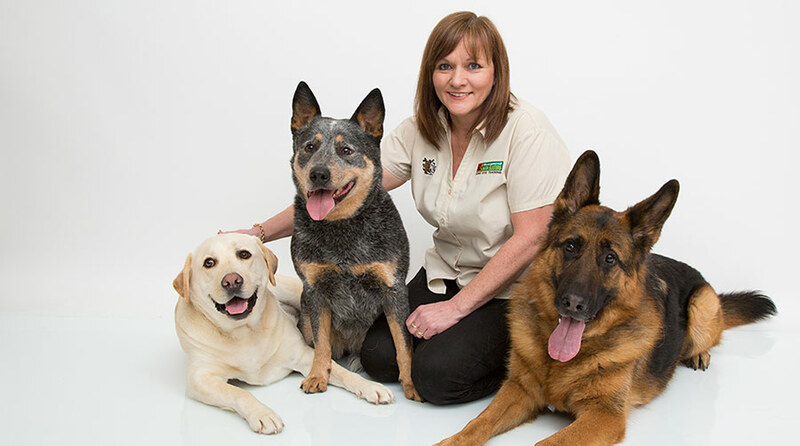 I am delighted that you are visiting my page and are interested to see how I can help you with the behaviour problems you are experiencing from your dog. As the title suggests, Bark Busters therapists visit dog owners in their homes. This approach enables me to get to know you and to observe your dog’s behaviour in his own home free from other distractions and the stress of strange places. In this way, we build up a picture together about what is causing the unwanted behaviour you are experiencing. I will work with you to identify the stressors that are causing the unwanted behaviour and create a personalised plan. I will show you the techniques to help you to better communicate with your dog. By learning to communicate with your dog using our simple fast acting, kind and effective techniques, you will be equipped to eliminate the unwanted behaviour. Whether the problem is aggression, barking, destructive behaviours, separation anxiety, sibling rivalry, poor recall or pulling on the lead - in fact, any behaviour that is causing you a problem, I will teach you how to use my methods in a gentle, positive and rewarding way to teach your dog that he does not need to behave in this way. Dogs are my passion, and I love my job which enables me to work with dogs and their owners, in and around the Keighley area, every day. I particularly enjoy the fact that the Bark Busters system of training is so simple and effective that I get to put smiles on my customers faces. When I am not working I will usually be found either competing, training or playing with my own three border collies. I also spend some of my free time training committed people to become pet dog instructors, or running masterclasses in skills such as Learning Through Motivational Play, Clicker Training, and Flyball. I also run classes for people rehoming rescue dogs, and for veterinary staff handling stressed dogs. 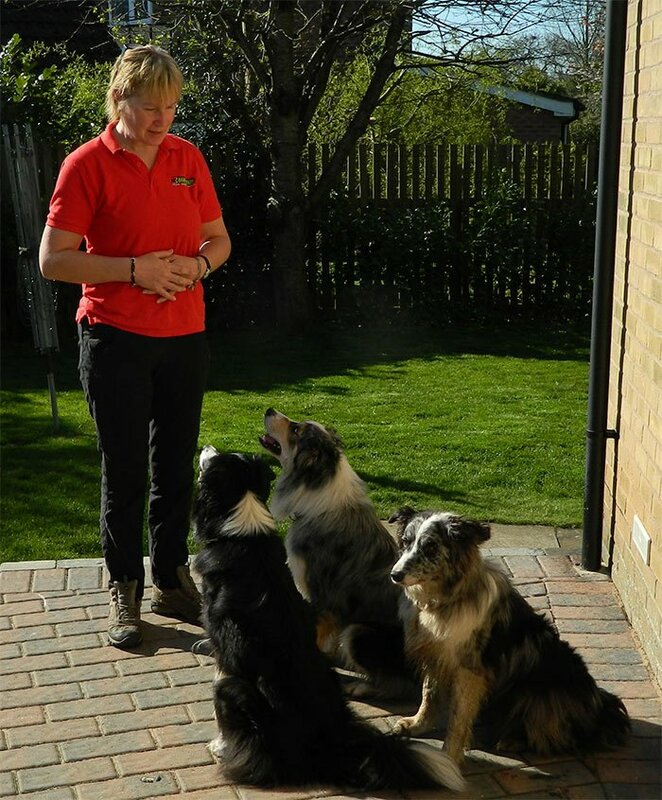 When I come to visit you, we will put together a training programme to suit you and your dog. I will support throughout the term of your support guarantee, returning to you free of charge to help and guide you. I am qualified to ‘Advanced’ level in the Dog Training Instructors Course (DTIC) and to ‘Professional’ level in the Pet Dog Training Institute (PDTI). Just ask me if you would like me to show you some new and fun activities to do with your dog! I’d love to help you build a better relationship with your dog so that you can both relax and enjoy life together. It’s easy to book your training programme with me; simply call 0808 100 4071 or click the contact button above, and my assistant will call you back to explain how the service works, and the cost options. There’s no obligation or pressure to book and you can feel confident that I am the dog trainer for you. You can also visit my Facebook Page https://www.facebook.com/BarkBustersWestYorkshire/ where I share lots of useful news and information for dog lovers like us.